Extreme profit pressures on industrial companies have forced them to look at one of their top costs: energy. Powering entire plants with solar is now not only feasible, it is fiscally responsible and environmentally imperative. 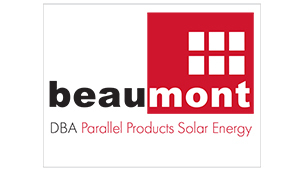 The Beaumont Solar integrated team can help you find the right solution for your industrial facility. Leading industrial groups, such as the fishing and seafood processing industry, are implementing solar to significantly reduce their operating expense. Financing options and Power Purchase Agreements (PPAs) make even the largest of facilities able to deploy solar energy with no capital expenditures. Predictable, measurable energy cost reductions turn into operating equity with the fixed-rate of power from solar energy. Beaumont Solar has partnered with the strongest financial partners known in the industry with renewable energy focus, offering organizations unmatched price points and rates of return.